Richard Bienstock talks to the guitarist Mary Halvorson about the "rock energy" in her playing coming from her fascination with Jimi Hendrix, about her mentor, the saxophonist and composer Anthony Braxton, about her recent album "Meltframe", and about using the pedal-steel guitar for her next project ( Rolling Stone). --- Jacques Denis reports about the impact of the AACM on the Paris jazz scene after a number of musicians from the Chicago collective worked in the French capital from 1969, but also about the ongoing importance of the AACM and musicians associated with the group ( Libération). Abigail Darlington talks to Brandon Brooks who studied drums under the jazz virtuoso Quentin Baxter at the College of Charleston and who has developed a GPS-based smart phone app to connect musicians, for instance if they are piecing a band together for gigs around town ( Charleston Post and Courier ). --- Georg Linsenmann talks to Gudrun Endress, the editor of Germany's oldest jazz journal, Jazz Podium, about the difficulties of managing a print magazine, about the cultural values of jazz, about her long connection with the publication which started in 1952 and about the happiness she feels when interviewing musicians ( Stuttgarter Nachrichten ). Sammy Stein talks to the saxophonist Mats Gustafsson about the problems that young musicians in jazz and improvised music have to compete against the whole back catalog of the music, about jazz as a music of resistance, of questioning things, of dealing with experiments, about differences in the audience for his music in different parts of Europe, Asia and the United States, about the market's unease with creative music, about the fascination of jazz with young musicians despite the fact that in it they might not reach a big audience, about making records in the 21st century, about the limiting aspects of labeling music, as well as about how being a musician impacts family life ( Something Else!). --- Detlef Kinsler reports about changes in the organizational team of the Deutsches Jazzfestival in Frankfurt, Germany, one of the oldest festivals worldwide ( Offenbach Post). Peter Kemper who had been co-organizer since 33 years retired from his position at Hesse Radio which is behind the event, and Guenter Hottmann, the jazz editor of Hesse Radio, will end his involvement in the organization as well ( hr-online). Their successors will be Claus Gnichwitz and Jürgen Schwab, both of them experts in their own right and regular contributors to the jazz program of the station. Kinsler reports about rumors that the festival might become more commercial, more mainstream, less edgy, however Olaf Stötzler who is in charge of the festival, is sure that once next year's program is out, these rumors will end. Cormac Larkin talks to Manfred Eicher, the founder and producer of ECM Records, about the problematic reference to an "ECM sound" by critics, about his own aesthetic ideals, both in respect to music and sound, about the downsides of the information age for the music industry, as well as about his continuing dedication to the music ( Irish Times). --- Li Anlan talks to Carlo Pagnotta, the founder and artistic director of the Umbria Jazz Festival held in Perugia, Italy, since 1973, about the idea for the event, about the festival's success and about its expansion next year to include concerts in Shanghai, China ( Shanghai Daily). For the anniversary of Billy Strayhorn 's 100th birthday on 29 November David Brent Johnson selects five of the pianist/composer's songs to talk about Strayhorn's impact both on Duke Ellington's oeuvre and on jazz ( NPR). Corinne Ramey accompanied musicians who serenaded Strayhorn with his famous "Take the A Train" on a historic 1930s subway car riding that New York subway line's track for the occasion ( Wall Street Journal). Chris Albertson posts a rare recording of Duke Ellington presenting Billy Strayhorn playing and singing his very own "Lush Life" at New York's Basin Street East in 1964 ( Stomp Off). --- Gary Fukushima talks to the saxophonist Steve Coleman about the importance of mentoring the next generation of musicians, about his involvement in teaching M-Base techniques to younger musicians in workshops, first in New York, now in residencies which he held in Philadelphia, Chicago and Los Angeles, as well as about the importance of underground, experiment-friendly venues for the creative scenes all over the country ( LA Weekly). Christina Przybilla talks to the pianist Joel Forrester about the possible influence of Vince Guaraldi's Charlie Brown music and the definitive influences from Monk, Ellington, Morton, Bach, Beethoven and Webern, about meeting Thelonious Monk through the Baroness Pannonica de Koenigswarther, about his repetitive composition "Industrial Arts" and how it got him fired from jobs or being told not to play this kind of music 17 times ( Examiner). --- Dan Ouellette talks to the singer Somi about her experiences living and working in Lagos, Nigeria, for eighteen months earlier this decade, where she had to create her own salons and performed at art studios in order to test her music with the Nigerian audience which eventually led to her current album "The Lagos Music Salon" ( ZealNYC). 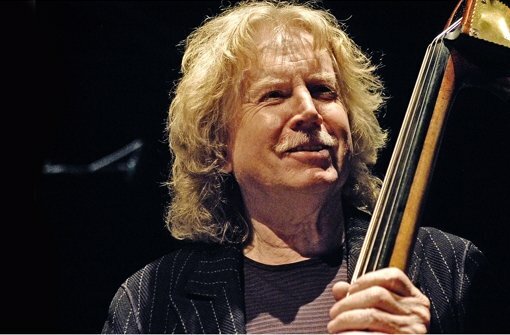 A field maple tree will be planted in an outer district of Stuttgart, Germany, in honor of bassist Eberhard Weber who will present during the planting action ( Stuttgart ). [Eberhard Weber, by the way, will be reading from his autobiography and engaging in a JazzTalk with Wolfram Knauer this Friday evening at the performance space underneath the Jazzinstitut Darmstadt.] --- Nate Chinen sees a new documentary about the bass player Jaco Pastorius ( New York Times). Michel Martin talks to Metallica's Robert Trujillo about Pastorius as well ( NPR). --- Christian Knatz talks to the young German trumpeter Stefan Mathes ( Echo Online). We learned of the passing of the Swedish trumpeter Bengt-Arne Wallin at the age of 89 ( SVT Nyheter, Corren), the blues researcher Mack McCormick at the age of 85 ( New York Times), the British singer Jenny Brown at the age of 88 ( Buteman), as well as the Swiss jazz promoter Arnold Burri at the age of 75.